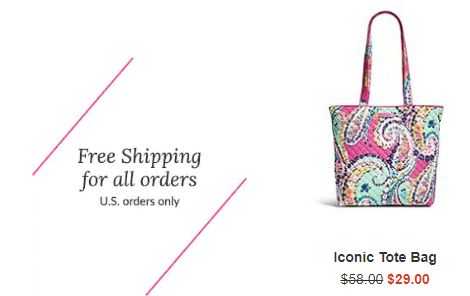 Vera Bradley Winter Sale: 50% Off! Vera Bradley lovers rejoice! Hop over to the Vera Bradley Winter Sale for 50% off a selection of bags, accessories, and more! I spotted some super cute tote bags, blankets, satchels, wallets and more—all for half off! Plus, shipping is free for all orders to the US!